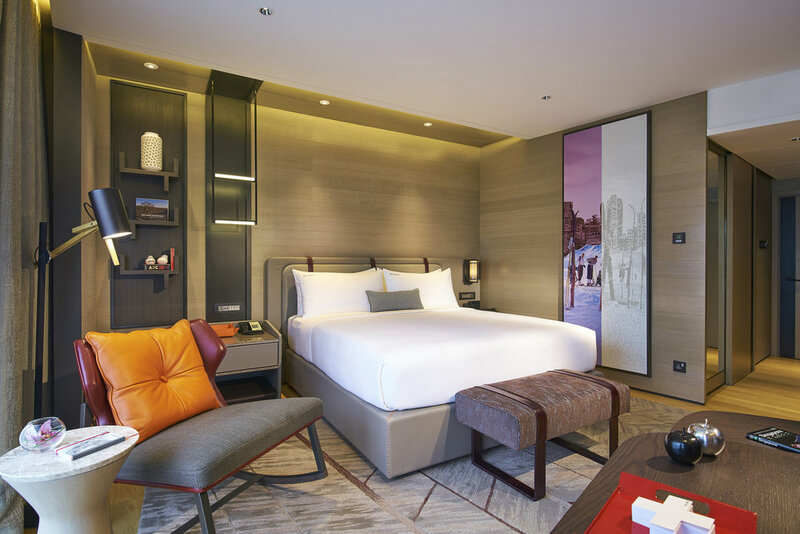 The renovated guest rooms of Swissôtel The Stamford channel the Swiss lifestyle of effortless innovation and simplicity. Details were of the utmost importance in this project, as each piece was created to work as efficiently and accurately as the dials of a Swiss watch. 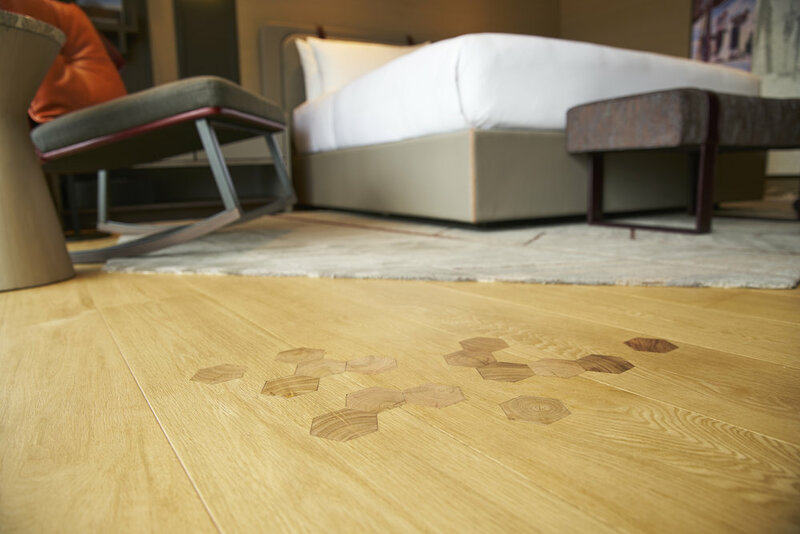 As a nod to the Swiss vernacular, a twist was added to the wood flooring – solid wooden inserts reminiscent of an actual Swiss lodge. Rug designs were derived from the timber flooring and veneer wood wall slats. One of the bedside tables is a modern take on the Swiss life-saving brandy barrel. The minibar is an analogy of the Swiss watch box, where everything has its place, with the element of a surprise finish within the cabinetry. The snack basket was designed to look like a picnic basket. The accent chair is a modern rocking chair. 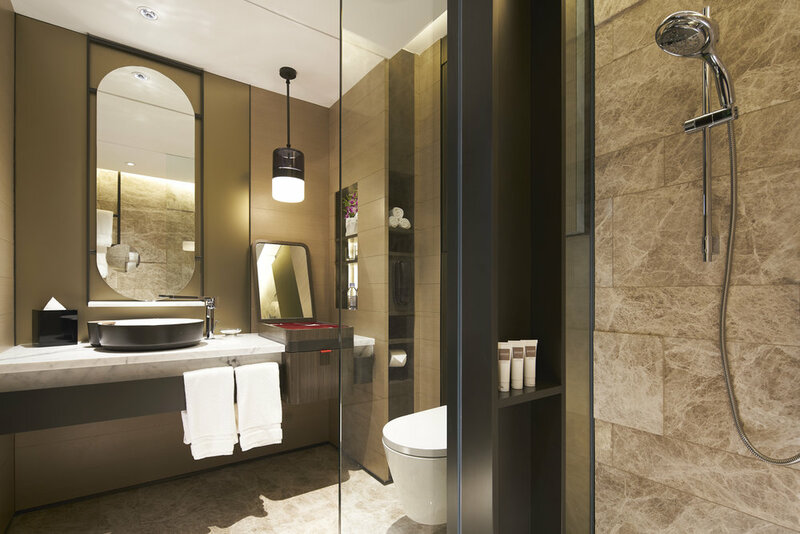 In the bathroom, the counter features a vanity box packed full of useful toiletries with space for the guest to arrange their own items neatly—another analogy of the Swiss watch box, where everything has its place. Swiss products were used where possible, such as the bath fixtures by Laufen. Throughout the room, interpretations of the Swiss Cross can be found in details like stitchings, book shelves, robe hooks, door pulls, artwork and wall details. The local flavor is accentuated through the artwork, which subtly weaves Singaporean and Swiss subjects into a continuous narrative.